25 years old ! That’s much older than Alice, Mathilde, Sam or Fred were when they became Ogres in 1994. For 25 years they have written a fundamentally singular story, deeply marked by the seal of freedom on all levels. A story so full of projects and rich with various experiences that it can only be developed briefly here. For 25 years they have been defending their idea of French chanson without yielding to the spirit of the times: a music with no boundaries and that is open to the world, be it “classical” or mixed, be it acoustic or electric, a reference to glorious elders or directly in touch with the sounds of the new millennium, poetic or hectic, loving or dissenting, for younger ones or adults, or both at the same time… and the lyrics, between realism and day-to-day poetry, bear the marks of the people’s preoccupation in their involvements and responsibilities. Yet, they would never dare lecture anyone. For 25 years they have been on their favorite playground, the one where they play, share, exchange, where as artists, they were born and where they fully exist : the stage. 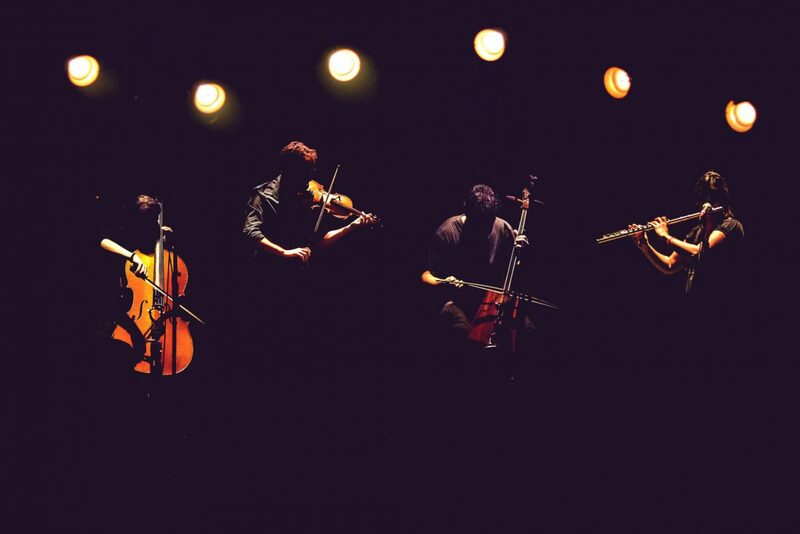 It is by touring, playing all the time, everywhere and under many shapes [more than 2000 concerts performed so far…] that Les Ogres have managed to meet, retain and enlarged an audience to which they keep showing their deep respect. And they do that by constantly changing their artistic propositions. Les Ogres have an astonishing aptitude to constantly reinvent themselves without getting lost, and it feeds the unalterable pleasure they take and naturally share with people, while avoiding any tiredness that might appear among them or in the audience.Therefore, even if their discographic production is abundant [twenty two references, all media combined! ], let’s dare say it : the stage is their natural element. promotion. Les Ogres have all the cards in their hands. And – that may be the most powerful of their singularities – their story has established itself as a perfect alternative model of career development. 25 years is five more than the double decade they celebrated on stage all along 2014. Because, if we forgot to tell you here, Les Ogres know how to party. And moreover, they know how to share the good times. 25 years, and what now ? Well… here they go ! For 25 more years ?